Samsung has revealed to TechRadar that smaller 3D TVs will be coming to the market in 2011, despite the company warning that when it comes to 3D bigger is definitely better. 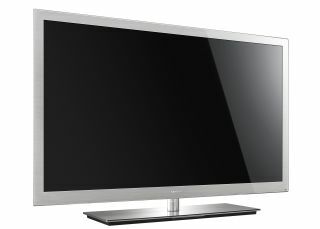 At a demo of the company's 2D-to-3D conversion technology – found in its C7000 plasma range and 9000 LED series – a spokesperson confirmed that Samsung would be releasing smaller-sized TVs in 2011. "The smallest 3D TV we have at the moment is 40 inch, but once we introduce 200Hz panels to our 32- and 37-inch TV range we will have smaller 3D TVs," explained the spokesperson. "It's likely that next year we will have these smaller TVs on sale." When asked whether the size of the panel would effect the 3D viewing expiring, the spokesperson did note: "The bigger the screen, the better the effect. But it all does rely on how far you sit from the screen. We always recommend with 3D that you sit twice the length of the diameter of the TV you are watching." Samsung is hoping that its 200Hz technology will wow consumers, offering deeper colour, less flicker and no ghosting on 3D images. Samsung officially announced the launch of its LED 9000 series TV in London this week and has also released a massive advertising campaign bringing the 3D message to the home.